Increased use of simulation in product design and development has enabled companies identify problems early in the design cycle, and helped drive innovation at a lower cost. At the same time, simulation use has led to creation of enormous amount of data, which is not optimally stored for reuse in future, leading to increased cost in data maintenance and recovery. More than any other engineering process, simulation generates significant amount of data, which needs to be maintained and retrieved efficiently in order to gain full benefit from simulation. Simulation data is one of the most important assets to be managed, as it plays a key role in design decision making process. 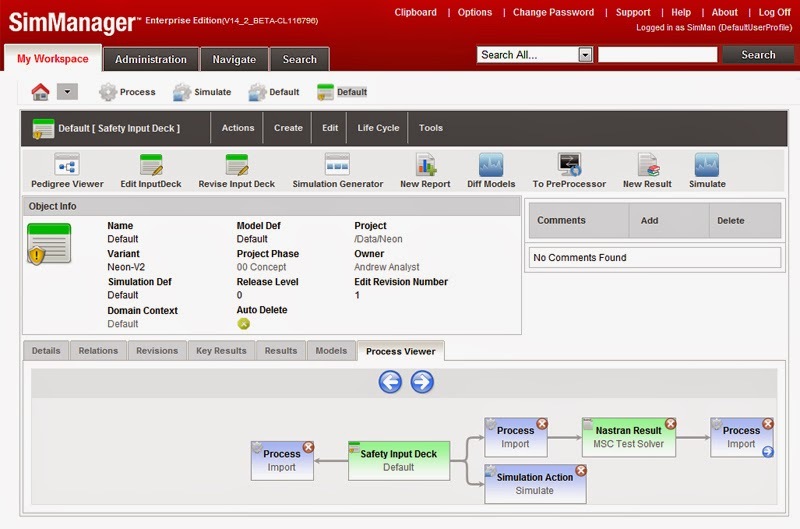 MSC Software offers a process and data management solution that is uniquely tuned to address simulation requirements. The system is designed to handle the volume and complexity of the simulation data for FEA, CFD and other computationally intensive methods that are growing by orders of magnitude. 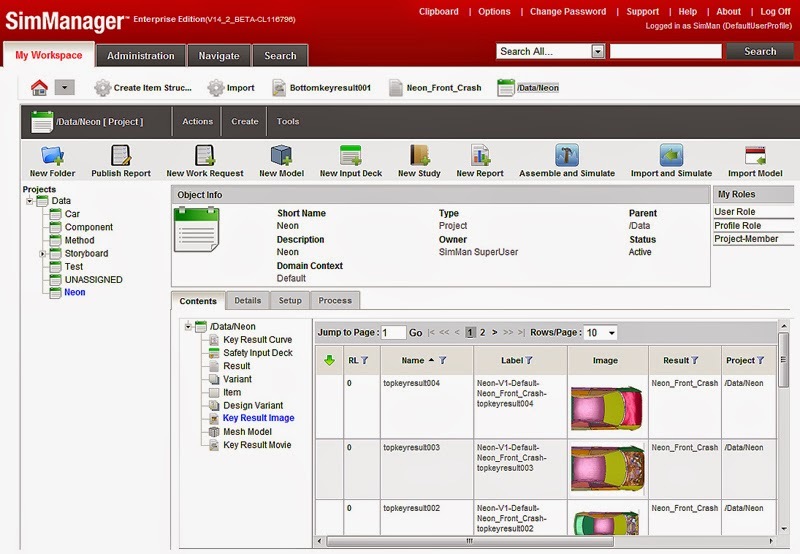 The web-based capabilities of SimManager ensure faster deployments, easy extension into new domains and broad scale usability. Automatically capture all data associated with every executed process, ensuring complete traceability of process-generated objects – a key benefit that is not provided by Product Data Management (PDM) based PLM systems. Achieve a quick return on investment with productivity and quality improvements. 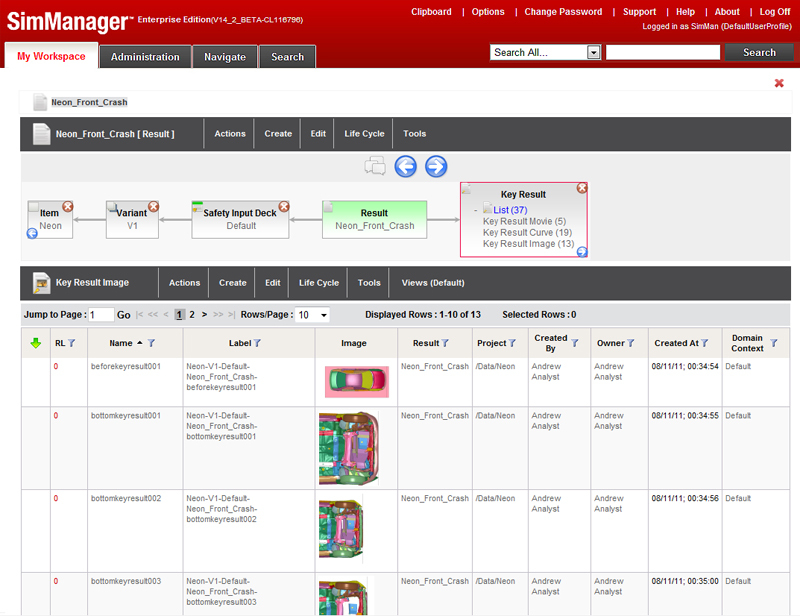 SimManager enables you to manage large amounts of simulation data from legacy sources and auto-captured from integrated processes. The import and export of multiple objects is handled in a single operation, while maintaining the relationships of imported files. This easy flow of data in and out of the system provides great flexibility to run simulation sequences both inside and outside of SimManager. SimManager helps you work together more effectively within and across project teams through traceable collaboration. Project dashboards can be used to quickly track the status of assigned tasks, providing project transparency and enhancing engineering productivity. Automate various tasks in your process. You can import a model file or assemble component models into a run-ready input file, submit for analysis, post-process, and create a report, all in a single operation. This helps improve your productivity and improve process efficiency.